There is no stopping for Manchester United right now. The Red Devils continue their hot streak, as they make it seven out of seven under Ole Gunnar Solskjaer by beating Brighton and Hove Albion 2-1 at Old Trafford on a Saturday afternoon. It was goals from Paul Pogba and Marcus Rashford that were enough for Man United to win their sixth consecutive Premier League match and get them even closer to their goal of finishing among top four teams and qualifying for the next season’s Champions League. Man United are now just three points behind Chelsea, who are in fourth, as the Blues lost 2-0 away to Arsenal in the London derby. This was another star performance from Marcus Rashford. 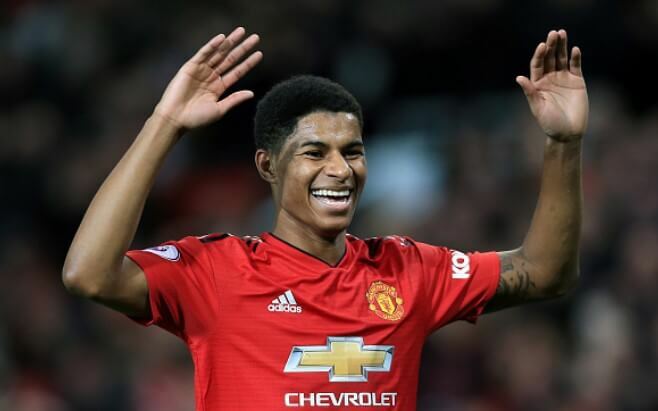 The youngster has been immense since the start of December and he made sure his incredible form continued, with a dazzling goal he scored to put United 2-0 up. It was a goal of great skill which made Man United fans go crazy. He showed just how great he can be on his day and those days just keep coming recently. Obviously, that must be down to the player, but also down to the manager who has managed to find a position and role for him. Rashford is now a real pest for defenders, scoring from all positions, both open play and dead ball situations, but even more than that – providing for teammates, too. There was a lot of talk about Nemanja Matic’s performances this season, sometimes deservedly and sometimes not so much. But we must admit that both him and Ander Herrera seem to be enjoying playing together in this 4-2-3-1 since Solskjaer’s arrival. However, it is important to note how well Herrera complements what Matic is doing on the pitch. With the Spaniard alongside him, Matic is able to do his thing with the ball at his feet. He can pass the ball around, set the tempo and move around more freely. Their performances have been very important for giving the platform for attackers flourish. The scoreline 2-1 does not tell the full story. This match was not as tight as some may think just by looking at the final result. Brighton were outplayed and United could have scored another goal. Also, it was Pascal Gross who took the only decent chance Brighton had and scored. That will be important for the German as he has been far from his last season’s levels. Diogo Dalot was not supposed to start this match, but he ended up playing 90 minutes in unnatural position. Luke Shaw was ill for this match and unable to start, so the Portuguese right-back had to fill in instead. And he did well. He was often high up the pitch and trying to be helpful in final third, despite being on the opposite side of the pitch. It is good to see someone so young step in when needed and do the job he was expected to.